(Seattle, Wash., December 11, 2014) – PCC Natural Markets (PCC), the nation’s largest natural foods retail cooperative, has announced the sale of the building and property currently occupied by its Seward Park store to Ron Sher of Third Place Books. 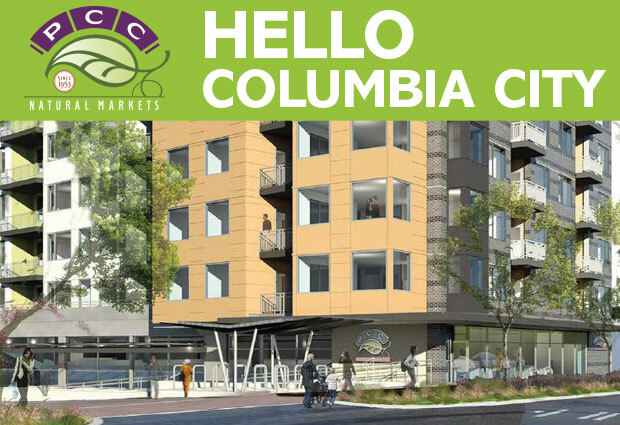 The sale precedes PCC’s move from the property to a larger site in the nearby Columbia City neighborhood in summer 2015. Sher is purchasing the Seward Park land and 7,200 sq. ft. building, located at 5041 Wilson Avenue South in Seattle, with the intention of operating a book store, restaurant, and possibly a pub, similar to the project the company developed at the former PCC location in Seattle’s Ravenna neighborhood. “We appreciate that Seward Park residents are reluctant to lose the Seward Park PCC which has served them well since 1985,” said Ron Sher, owner of Third Place Books. “We are committed to creating a new neighborhood asset and are moving towards opening the Seward Park Third Place Books by year-end 2015. For many years PCC had tried to remain in its current location but was unable to upgrade the existing building and parking in a way that would adequately meet growing demand. In January 2013, PCC announced it would move from the Seward Park neighborhood to a new 25,000 sq. ft. site in Columbia City, about one mile from the current store. The new store will enable PCC to offer shoppers more product choices as well as triple available parking. A member of the CC Facebook group recently posted the news that the Seward Park PCC site might have a few potential businesses eyeing the property. Currently, there are initial permits looking at using the Wilson Ave site as the location for a potential restaurant and pub. Diving into the Seattle public records for the address, this language pops up from a project description from the end of May: To be clear: at this point in the process, nothing is at all final (Case in point: remember all of the permits suggesting a Scott Staples burger place that was possibly coming to the Esmay building?…none of that played out and the building is now for rent). You are receiving this message because of interest you expressed in developments concerning the future use of the PCC Seward Park location that will be closed sometime next summer. Nothing final has been decided but we are happy to report that we have been pursuing inquiries from business entities that share our concern that the next occupant of our store site will be welcomed as a neighborhood asset. One inquiry, from Ron Sher, owner of Third Place Books, is looking most promising but is still in the exploratory stage. Third Place is the enterprise we have been working with as a potential candidate the longest, based largely on our excellent experience with them in the Ravenna neighborhood some years ago. We will keep you informed as things develop further. Thank you. So, that’s where it currently stands. While, yes, there are initial permits/inquiries into using the site for a restaurant and pub, PCC itself is reporting that Third Place Books has a strong interest in coming to the neighborhood. Also (and I am just speculating here), Third Place has done things like this which would be interesting. Thoughts? The Seattle Times has a new piece by Mary Ann Gwinn on the new Third Place Books coming to Seward Park. The piece outlines the details for the store , provides new info about the food offerings (restaurant, coffee, and a downstairs bar), and even has a number of photos of the construction and the extensive work being done to remodel the former PCC. According to the article, Third Place is hoping to open in April. For months now the Seward Park/Columbia City neighborhood has buzzed with the question — when will the new Third Place Books-Seward Park bookstore open? In search of answers, I went to the new location at 5401 Wilson Ave. S. to take a look. Robert Sindelar, managing partner at Third Place Books in Lake Forest Park, met me there and gave me a quick tour. We had a hard time making ourselves heard above the buzz of saws and the pounding of hammers, but never mind — it’s looking good, and could open its doors in April. This store, taking shape inside the shell of the former Puget Consumers Co-op building in Seward Park, will be the third in the Third Place Books chain. Owned by business visionary Ron Sher, the existing two stores, Third Place Books in Lake Forest Park and Third Place Books in Ravenna, showcase Sher’s concept that the best bookstores combine good business and good community building. Not just a bookstore, but a place to get coffee, work, socialize, gather, eat and last but not least, discuss and browse books — a sort of community commons, a meeting and gathering place for multiple age levels. This concept has ensured success for the first two stores. 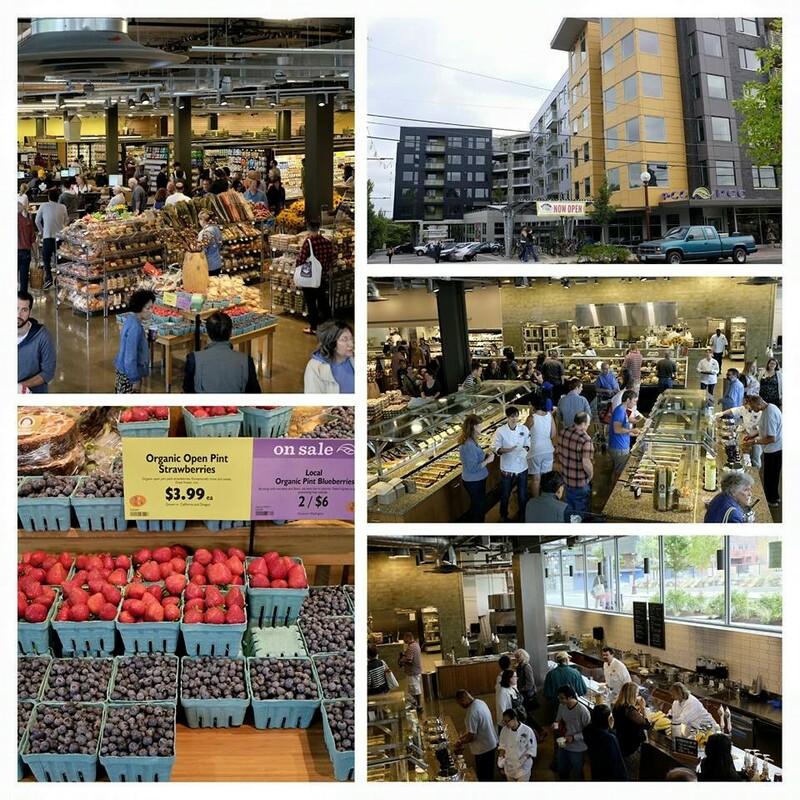 The Seward Park store will be all that and then some, because the store’s managers and owners are creating an all-new store inside the old PCC. The store’s 7,000 square feet will feature an espresso bar, a full restaurant called Raconteur (breakfast, lunch and dinner), a full bar downstairs, an event/reading space capable of accommodating up to 100 people, and books. Sindelar estimates it will stock 15,000 to 20,000 titles and 50,000 units (individual books). There will be a separate children’s department. As with the other stores, the stock will consist of both used and new books — approximately 50 percent new, 50 percent used. The renovation budget is about $1.4 million, Sindelar said. The store’s most distinctive architectural feature is its arched roof, uncovered when the renovators knocked down the dropped ceiling and found both the ceiling and the original wood trusses. Now the interior ceiling is clad in beautiful overlapping wood, like a warm wood floor. Skylights let the light in. Sindelar and Sher had scouted locations in the South End and in West Seattle (disappointed groan from this West Seattleite). Then they learned that the PCC was planning to move from its Wilson Avenue location to Columbia City. The co-op wanted a good price for the building (it was purchased from the co-op for $1.25 million, according to county property records), “but they were equally concerned with being a good neighbor,” Sindelar says, passing the property on to someone who would enhance the neighborhood. Ka-ching. The Ravenna store is in a former PCC location, and that building was purchased from the co-op. Feelings were cordial between both parties. From a traffic standpoint, the neighborhood already knew the location, and how to find the parking lot (yes! Parking!!!). If you’ve ever struggled to find a parking spot, been amazed at the speeds and recklessness of some drivers as they navigate Columbia City’s streets, or have some great ideas on how to improve the driving and parking conditions of the neighborhood, SDOT wants to hear from you. Do you work, live, or play in Columbia City? If so, please take our short online survey about neighborhood parking and access by March 19, 2016. Through the Community Access and Parking Program, SDOT works in neighborhood business districts throughout the city to improve parking and access. SDOT is beginning work with businesses and residents in the Columbia City neighborhood to better understand current parking and access issues in the neighborhood. The goal of this work is to improve parking and access in the neighborhood for customers, visitors, and loading needs, while maintaining access for local residents. The effort is focused around the Rainier Avenue business district (see existing conditions map). SDOT will be hosting a parking and access drop-in session at the multipurpose room at PCC (3610 S Edmunds St) on Saturday February 20th from 9:30 to 11:30 AM. Come join us to share comments and questions in person. Click here for more information on our outreach. In spring 2016 we will be partnering with a survey firm to conduct intercept surveys of customers and visitors in the neighborhood. Questions will include how people get to the neighborhood, how long they stay, and what are the main reasons they visit Columbia City. Results from a similar survey in 2011 are available here.